It’s pretty hard to find, but Magnolia is the best cheap ice cream in Thailand. Magnolia on a motorbike, mmmmmm-good! 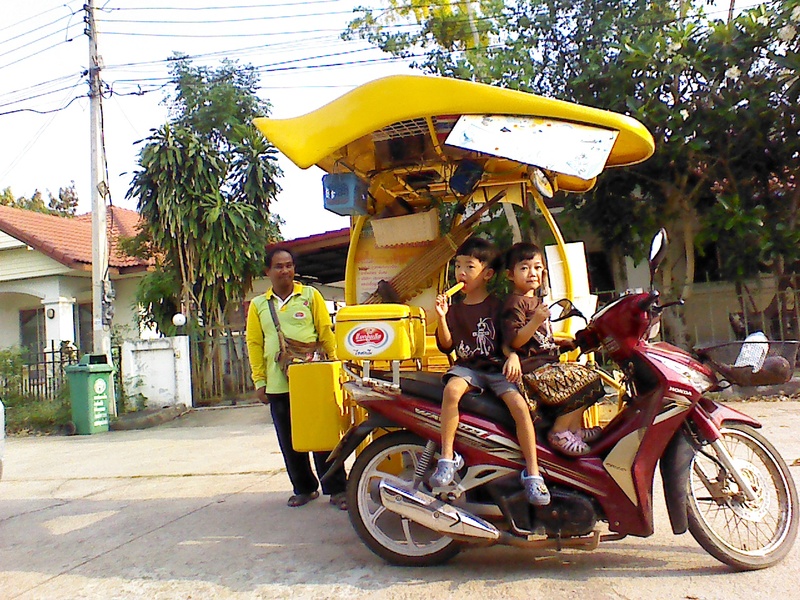 Is this the Thai version of the ice cream truck? Does it drive through your neighborhood playing tinny music or nursery rhymes?